I'm able to connect the ADFS proxy no problem to the ADFS server, however, I have an intermittent error (seems to fail every other sync request) between the ADFS Proxy and the ADFS server. The federation server proxy configuration could not be updated with the latest configuration on the federation service. 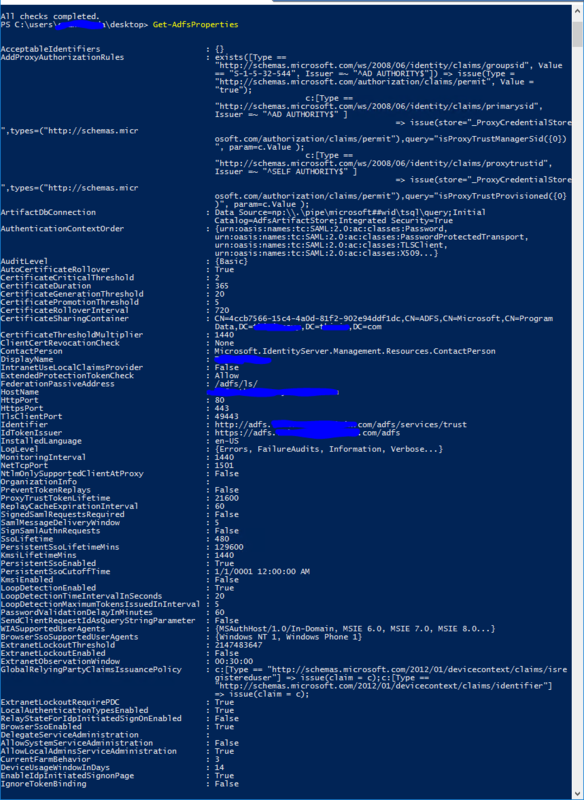 Retrieval of proxy configuration data from the Federation Server using trust certificate with thumbprint '8D4D65367FC31B61230951832C81E2B0891E3B9F' failed with status code 'InternalServerError'. The federation server proxy successfully retrieved and updated its configuration from the Federation Service 'adfs.testdomain.com'. I've initialized and checked device registration as well and that seems to be functional on the ADFS server. On ADFS server, I can load and login to the Web SSO page. From roaming PC's, I cannot connect to the ADFS Proxy's Web SSO page, but I can resolve the DNS no problem. Chrome/etc. show a "the page took too long to respond" error. From roaming PC's, I cannot join them to the domain via the ADFS Proxy. Edit: Here's another update with more info (ADFS properties). 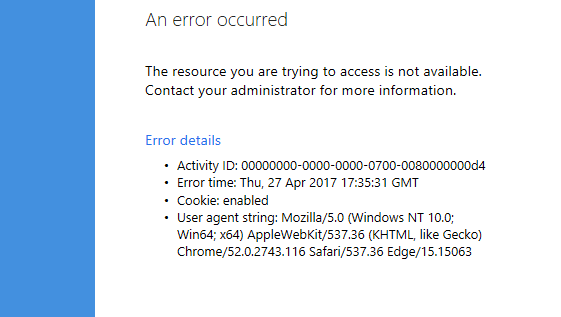 Still having issues with proxy trust (same success/failure events as above) and still unable to join devices to the domain (likely related). 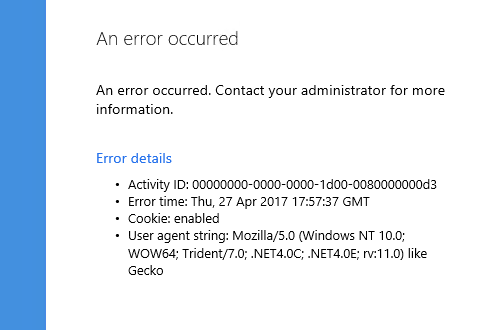 From proxy server, when you try to ping your federation service fqdn, e.x. fs.contoso.com are you getting the IP of the AD FS server in the response? Not the answer you're looking for? Browse other questions tagged ssl proxy azure windows-server-2016 adfs or ask your own question. 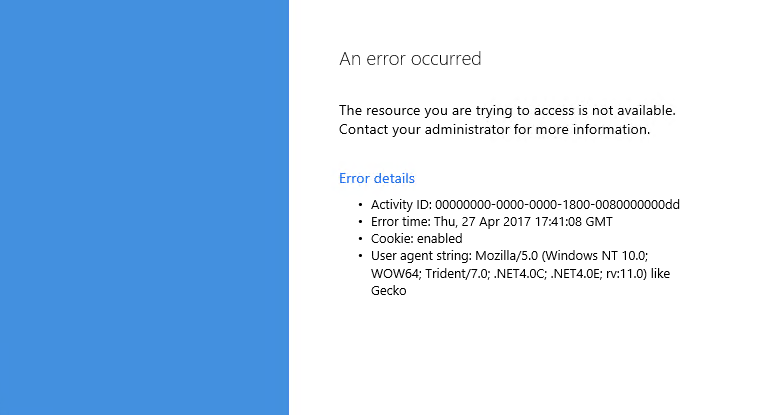 Why is Kerberos security failing for our ADFS proxy server?